This article originally appeared on Divine Lifestyle. After a few days in Brussels, we then headed to Antwerp, Belgium which you may know from the diamonds! Visiting Belgium Antwerp was an amazing experience and let me tell you why. Diamond cutting – the process that makes diamonds dazzle – dates back to medieval Bruges, where diamond cutting was invented. Bruges grew to be the first great diamond centre and, up until the late 20th century, was home to many diamond-cutting ateliers. 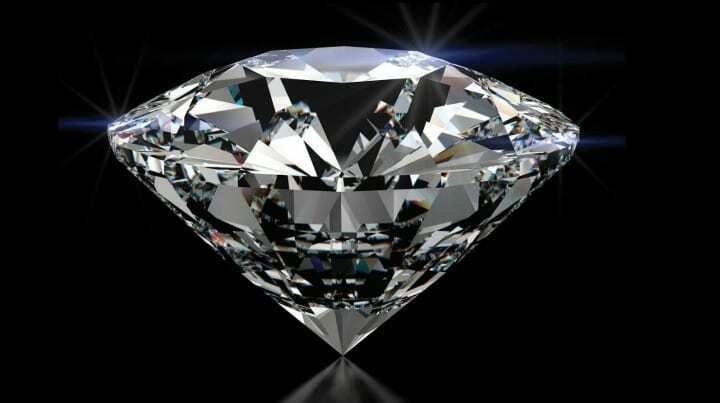 But by the end of the 15th century, Antwerp became the main centre for diamond trade. There are over 1,000 diamond cutters in Antwerp today. Diamonds are predominantly mined in India, Brazil, South Africa, Canada and Australia, but approximately 84% of raw diamonds pass through Antwerp. The heart of the diamond industry is based in the Diamond District at Central Station in Antwerp. Only the best quality diamonds obtain the label of Antwerp’s Most Brilliant. Jewelers who have earned this label have had to meet strict quality standards. Antwerp’s reputation as the world’s centre for diamonds is definitely earned. In Antwerp, we stayed at the wonderful Hilton Antwerp Old Town which is on Antwerp’s most famous and historic town square in the heart of Antwerp city center. It is literally within walking distance of all Antwerp’s major attractions. The hotel building formerly housed the Grand Bazar Shopping mall and the original 1864 facade still forms part of the hotel. When in Antwerp, I highly recommend making a reservation at Brasserie Flo. Chef Pascal de Portemont prepares delicious brasserie cuisine with a temporary twist. I typically do not dine in the hotel restaurant in the hotel I am staying at for dinner (breakfast and/or lunch most definitely). I just like to get out and enjoy the city I am in by walking to a nearby restaurant or the experience of taking a cab and discovering more of the city. However, I am glad I did not pass up on the opportunity to eat at Brasserie Flo. Yes, yes they really do serve mayonnaise with french fries in Belgium. The Smurfs comic franchise was written by Peyo, a Belgian comic artist and writer. The Smurfs franchise began in 1958 as a comic strip in Belgium and expanded into a worldwide TV series, films, dolls and even theme parks. Belgium produces more comic books than any other country in the world. Tomorrowland, one of the biggest electronic music festivals in the world, takes place in Boom, Belgium (a few miles from Antwerp). Over 180,000 people from around the world attended the July 2016 event. The Hilton Antwerp Old Town has the largest hotel ballroom in Belgium – – the historic Belle Epoque Ballroom with 12,260 sq. ft.
Planning a trip to Belgium? Visit www.visitflanders.com/en to plan your trip to Visiting Belgium Antwerp. If you are in Belgium, stop by the Visit Flanders office near Grand Place. We were hosted by Visit Flanders on this trip to Belgium and not compensated to write this Visiting Belgium Antwerp Visit Flanders post. We loved Belgium and really appreciate their hospitality. Please visit our article on Puerto Vallarta here.